Most awaited start menu has been highly customized in the latest windows 10 because you can easily resize them by dragging from corners. For windows 8 users,Tiles are not new but for new users they are like displaying information to users like weather,stock exchanges or sports scores and we can add or remove them as per our requirement. 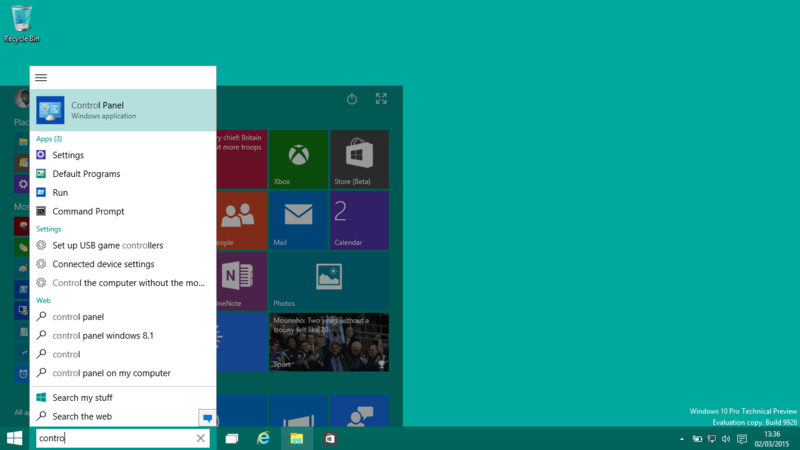 This is great that we can view the list of all apps from start menu in alphabetical order. This is great feature ..using which we can search directly from start menu.Just start typing your file or folder name.Also we can see the web search option is also there. Hey this is my best feature, because we can easily customize our start menu.We can choose different option to show the listing of your recently or frequently used apps. We can easily access all our notification related features like Bluetooth,location and most of the features or common functions without going inside control panel by just clicking on the chat like icon at the bottom of notification. Go to Settings->System Settings . Now go to the “Notifications & actions” tab where you’ll see your top four quick action toggles listed at the top of the screen. From there, you’ll see a drop-down menu with all of the possible quick actions that you can assign. Its a most special and highly awaited voice assistant which can ease the task of windows 10 user and it will be a game changer for Windows.For more info on Cortana. Just Start by clicking the search box right next to the Start button in your taskbar, then click the Cortana icon in the bottom-left corner of the popup, which looks like a circle just above the Windows logo. Accept the agreement and Cortana will be ready to go, but you’ll still need to activate the Voice Search hotword. Enjoy different voice commands feature from here. Well to enjoy location related features just feed in some location and you will enjoy the traffic related details.To add addresses such as home, work, and your other favorite places, head to the Notebook menu and click “About Me” again. From here, select “Edit favorites,” then click the + button near the bottom-right corner, add an address, label it, and repeat for additional locations. Now good thing is where you can use Cortana is just ask a simple question “Get me to nearest Pizza Shop” and the magic begins. Well that’s very handy feature which are available using third party softwares in earlier windows versions is now available in Windows 10. 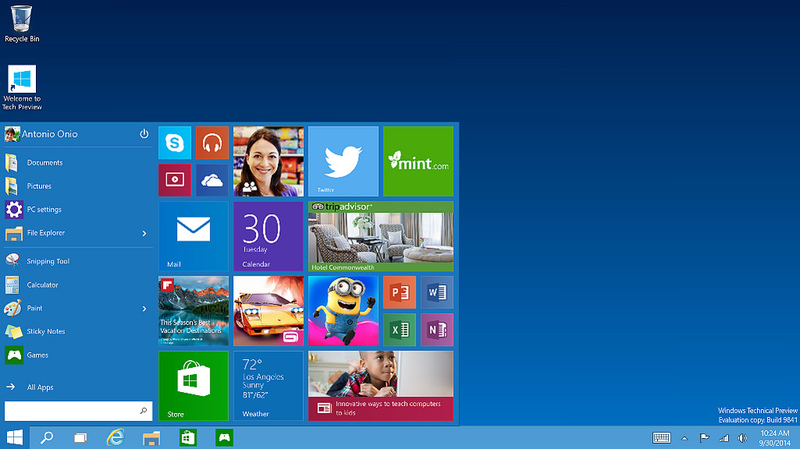 You can create different desktops right way in new Windows 10. You can easily add new desktop by clicking the task view button next to the search bar (or icon) in your taskbar, which will bring up a button in the bottom-right corner of your screen labeled “+ New desktop.” Just click this button to create a second desktop, then click it again to create a third, and fourth and so on and switch between them. Using this feature you can easily maximize windows,split the screen or divide the screen to see more than two ,three or four apps at a time. Here I am sharing some youtube links because its not possible to show these features through screen shot.Just a 15 to 20 sec videos. just click and hold the title bar, then drag it all the way to the top edge of your screen. As soon as you release your mouse, the window will be maximized. Well lot more features….will be posted and yes your suggestions are too precious for us….